Registration has opened for the NGS 2014 Family History Conference, 7-10 May 2014 in Richmond, Virginia! 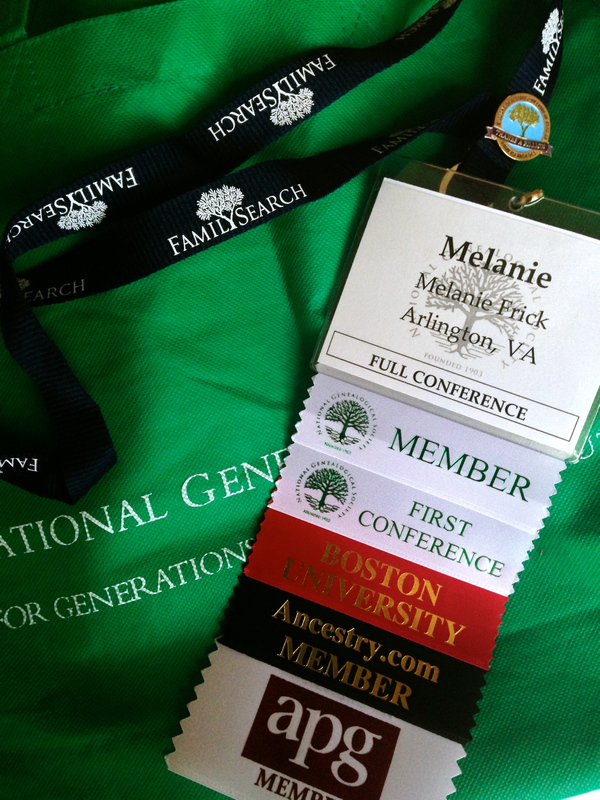 NGS 2013 in Las Vegas was my first conference, and I can’t wait for round two of four days of genealogical bliss. As a bonus, although I spent nearly three years living in Virginia, I never made it to Richmond. Are you going? 1. Be prepared! Before taking off, review the conference schedule and download the NGS app to your smartphone to keep you organized. Make note of which lectures you want most to attend, and think seriously about what you want to learn. Whether you’re a complete novice or an experienced professional, there are lecture topics and tracks geared towards you. A plan of action is important when preparing to tackle several full days of lectures and activities, including luncheons, evening programs, and other special events – but be willing to be flexible, too. Discovering a new favorite speaker may sway you into attending a lecture that you had previously ruled out, or a new friend might invite you along to a networking event that you hadn’t heard about. 2. Broaden your horizons! A lecture might catch your eye if it covers a specific topic in genealogy that you love and have read everything about – but realize that if that’s the case, you might not learn much new in a lecture geared towards beginners in that subject area. If you take a look at the syllabus, you might find that you can get the gist of a lecture from the summary provided there, and decide, in its place, to attend a lecture about something completely new to you. I almost missed what ended up being one of my favorite lectures on a topic that I knew nothing about to attend a lecture on a topic that I already knew well. 4. Get colorful! Before attending NGS 2013, I had not been aware that ribbons that attached to one’s name tag even existed. Well, as it turns out, they do, and they’re popular at genealogy conferences. As you explore the Exhibit Hall, you will have the opportunity to collect ribbons from genealogical organizations that you support. Some people are selective with their ribbons, while others make a point to collect as many as possible. However you go about it, be sure to add some color to your name tag! 5. Dress to impress! Maybe it’s just me, but I’ve found that the term “business casual” can be vague, and I like specifics. At NGS 2013, most attendees wore trousers or slacks with a nice shirt or blouse, though by all means, one should wear whatever makes him or her feel the most comfortable and confident. On the final day of the conference, many attendees dressed more casually, particularly if they were leaving directly for a flight home. 6. Layer! I appreciate air-conditioning, but it can be unpredictable in large conference facilities. There were a couple of occasions last year when I would have turned into an icicle if I hadn’t brought along my trusty cardigan. NGS already offers this advice, but I’ll say it again – a sweater or light jacket is a necessity! 7. Stay hydrated! At NGS 2013, there were water stations at the back of every lecture hall. I don’t know if this will be the case every year, but I appreciated being able to fill my own water bottle before lectures. Hydration will be just important at future conferences as it was in the Nevada desert, so pack a water bottle and plan on using it. 8. Bring snacks! For those times when you’re too exhausted (in a good way, of course) to seek out lunch or dinner, or when you don’t have enough of an appetite to warrant purchasing a big meal, bring along some snacks. I made a few meals of peanut butter, crackers, and fruit, which really wasn’t as tragic as it sounds. If your room comes with a refrigerator or microwave, you’ll have even more options for low-key, low-cost meals. 9. Get connected! Although some may prefer to rely on a smartphone for Internet access during the conference, I would recommend bringing your tablet or laptop as well. I didn’t carry my laptop to the lectures with me (although you should have something to take notes), but I found that I was eager to put my new skills to use immediately (!) and liked being able to access my files easily once I was back in my room. Be aware of Internet options at your hotel – in 2013, NGS provided a hotspot for conference attendees as the attached hotel did not provide complimentary Internet access. 10. Talk to your neighbor! In my experience, the vast majority of conference attendees are as friendly as can be and are very open to chatting with their neighbors in the moments before a lecture begins. The very least anyone should do is to smile and say hello. You all have something in common, and if there’s one thing that genealogists love to talk about, it’s genealogy! 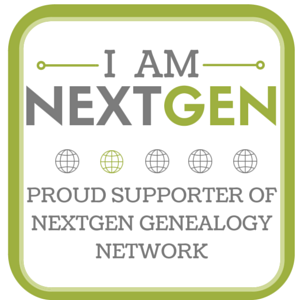 What are your tips for NGS Family History Conference attendees? 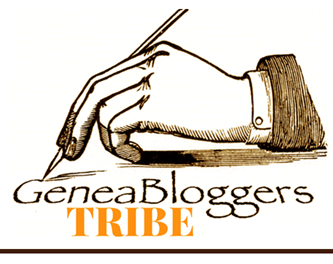 This entry was posted in Professional Development and tagged conference, National Genealogical Society, NGS on December 2, 2013 by Melanie Frick. Wonderful tips! Thanks so much. This will be my first genealogy conference, so I’m very excited. I’ve been to conferences that have to do with my current line of work, but this will be my first at what I “love” and hope to make my NEW line of work! :) See you there!